All that comes to mind, when someone says Mercedes Benz S Class, is limitless luxuries, generous amount of comfort and of course the ultimate styling which apparently comes natural to the brand as well as to the vehicles that share their names with it. What does not seems so obvious, while talking about the S Class lineup is a great deal of power. That is exactly when the Mercedes Benz S65 AMG steps in to leave all in awe. The SUV combines with the limitless luxury, style and comfort an equal sum of power. As huge as it can get, the Mercedes Benz S65 AMG, in practice, delivers a whopping 621 horsepower. As it was not enough in itself, the SUV is powered by a 12 cylinder twin turbocharged engine. With the class and styling of a true Mercedes S class and the power of God, what more can anybody ask for from the 2015 Mercedes Benz S65 AMG. Hidden under the hood of this grand vehicle, is a 6.0 liter twin turbocharged V-12 grunt. It is basically like Mercedes S550 taken to a darker, more powerful level of mightiness. 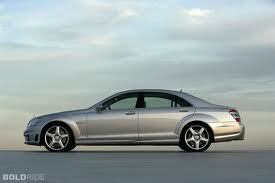 There are no significant changes in the 12 cylinder engine from the previous generation of the Mercedes Benz S65. The huge numbers see no stopping for the 2015 Mercedes Benz S65 AMG, as, along with the V-12 engine that produces a mighty 621 horsepower, it also produces a massive amount of torque that sums up at 738 pound feet. The transmission that backs up the amazingly powerful engine is AMG’s seven speed dual clutch automatic transmission which s anticipated to dramatically enhance the shift responses. The earlier generation of the S65 sported a seven speed torque converter automatic transmission. The tremendously engine is capable of cruising up the s65 AMG to 60 mph from rest in a sprint time of merely 4.2 seconds. However, this is the claimed value by the brand. The calculated value of the top speed the vehicle can reach comes out to be about 155 mph. The brand, however, claims that a few extra additions and changes the 2015 Mercedes Benz AMG can attain a top speed of an impressive 200 mph. The 2015 Mercedes Benz S65 AMG is a proud sportier of the brand’s Magic Body Control feature. Because of being real wheel driven, the S65’s architecture allows the Active Body Control Suspension. The feature is essentially needed for the vehicle to have magic Body Control. The interiors of the 2015 S65 hold on to the previous generation. As sumptuous and comforting it can get, the 2015 Mercedes Benz S65 AMG doesn’t fail on being the absolutely luxurious vehicle, truly Mercedes. The 2015 S65 faces a fair amount of competition from similar SUVs like the BMW’s 760 or Audi’s S8 or as for that matter, even the Bentley’s Flying Spur. All the vehicles sport comparably powerful engines. But the 2015 Mercedes Benz S65 AMG takes precedence over the other because of being absolutely stylish and absolutely Mercedes.